History text is from the 2-page brochure available here and at the Visitor Center. 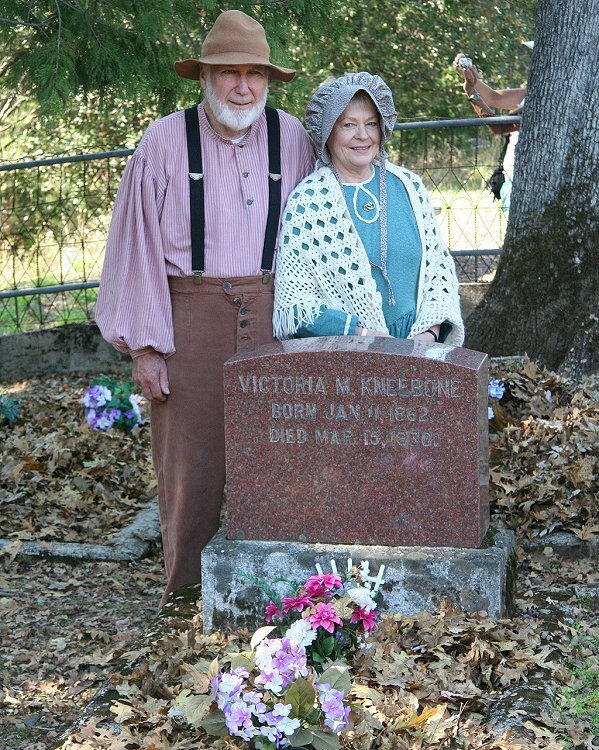 Kneebone Cemetery is located on the "Virginia Turnpike" about a quarter mile south of the covered bridge. As you approach Bridgeport heading north, the cemetery is on your left just past Kentucky Creek. A small parking area there will hold about three or four cars. The cemetery contains 11 graves of people central to the history of Bridgeport. William B. Thompson was a sea captain who lived in a sea-going community near the Tower Bridge in London. In 1843 he married Mary Ann Russell in St. Anne's Church, Limehouse Parish, Middlesex County, U.K., about two miles from the Tower Bridge. Thompson came around the horn from England to San Francisco in about 1850 and eventually settled at Bridgeport following desertion by his crew to join the gold rush. He joined them. Thompson died in 1853 with a promise from Charles Cole, friend and young employee, that Cole would marry Mary Ann, which he did. Thus, Mary Ann is listed as Mary Ann Cole in the above map of the cemetery. The ranch became more widely known as the Cole Ranch and grew to 1040 acres. 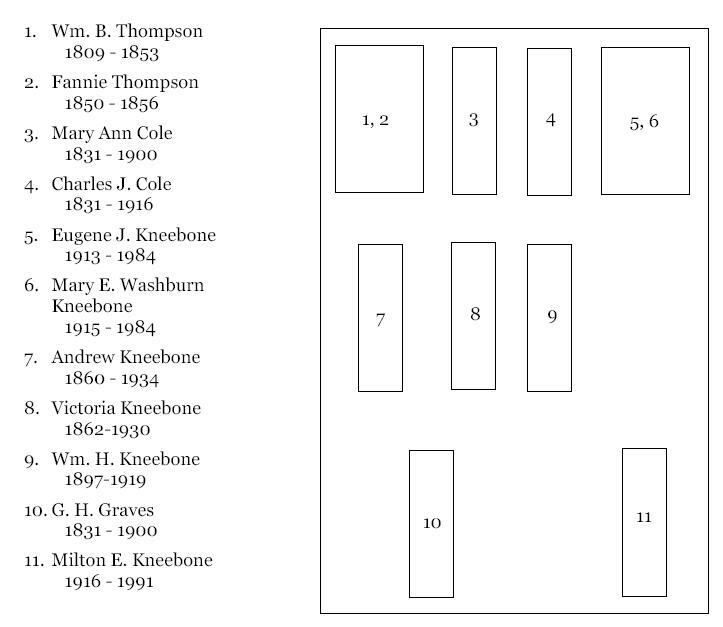 Charles and Mary Ann’s daughter Victoria married respected teamster Andrew Kneebone, which began the Kneebone era at Bridgeport. 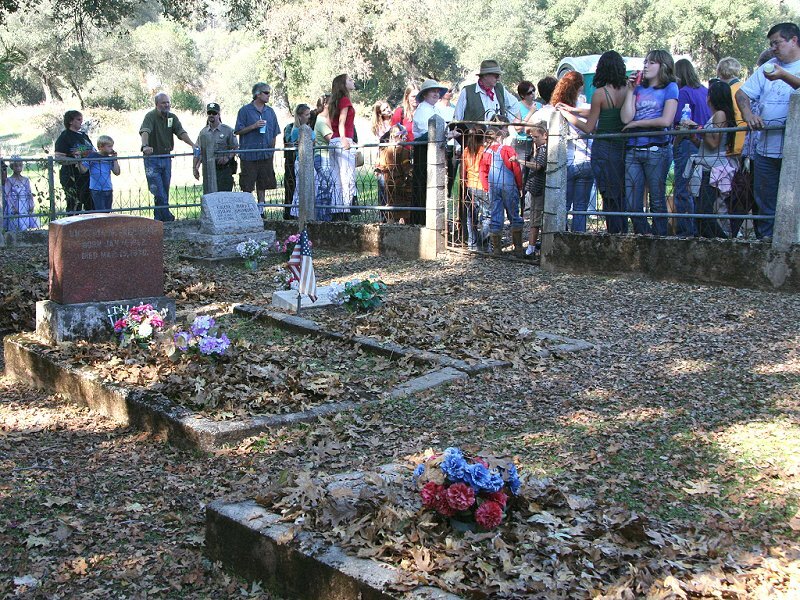 The cemetery is an important point of interest for visitors to SYRSP at Bridgeport. In years past, a "Ghosts of Bridgeport" pageant was included as part of our annual fall celebration in October. 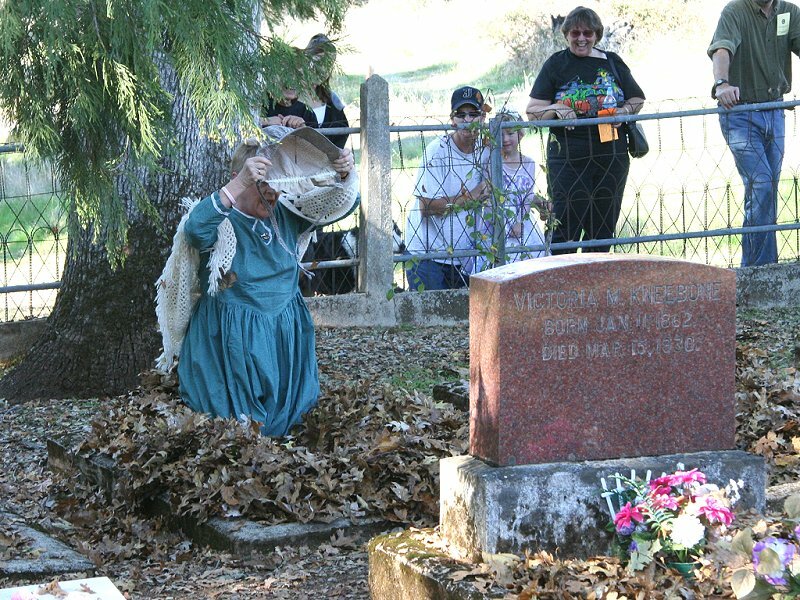 Here, Mary Ann Thompson rises from her grave to tell her story as part of the pageant. 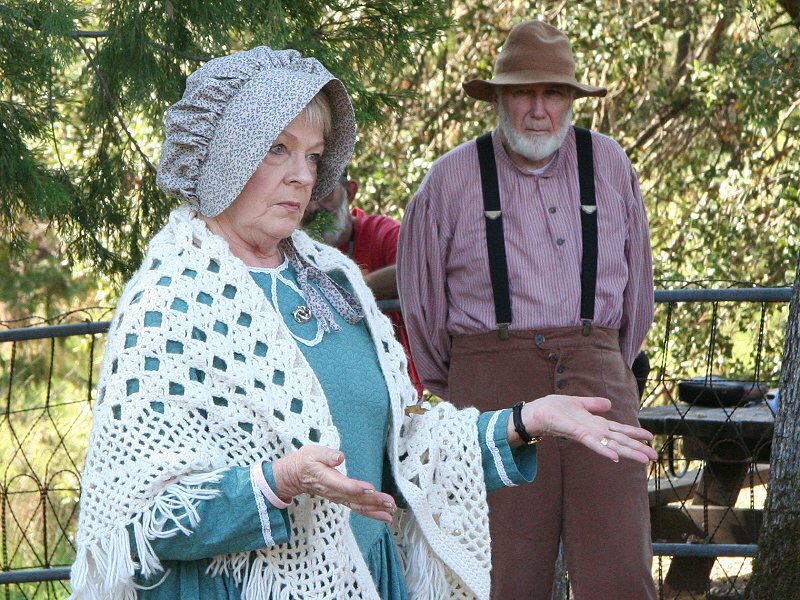 Park visitors were definitely surprised by this sudden appearance from the past. 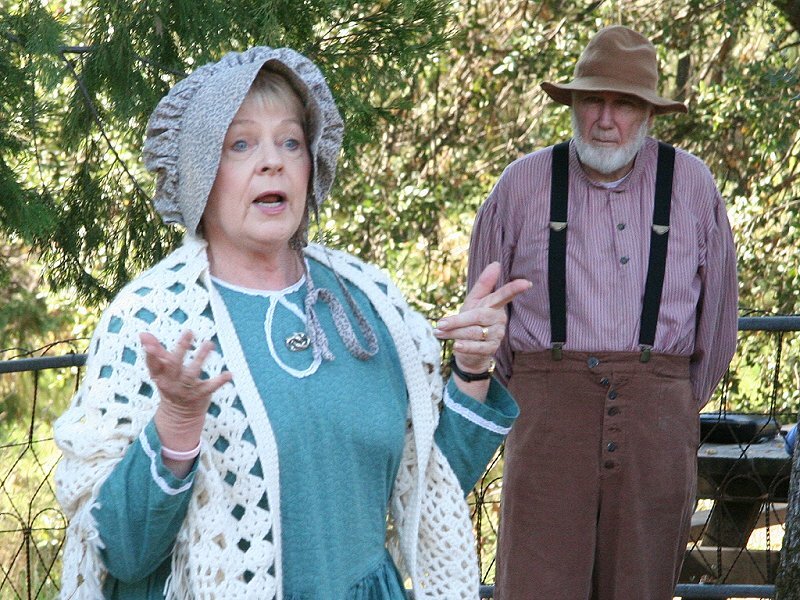 Mary Ann (played by docent Carolie Brenan) tells the sad story of the death at six years of age of her and Charles' daughter Fannie. 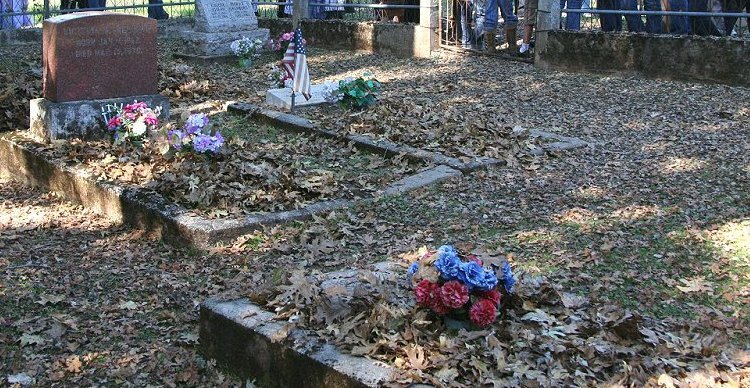 When asked by pageant player Corky Redmon if she (Corky) can bury Yankee Jim in the cemetery, Mary Ann replies that this is sacred ground for the Kneebone family and she must say no. 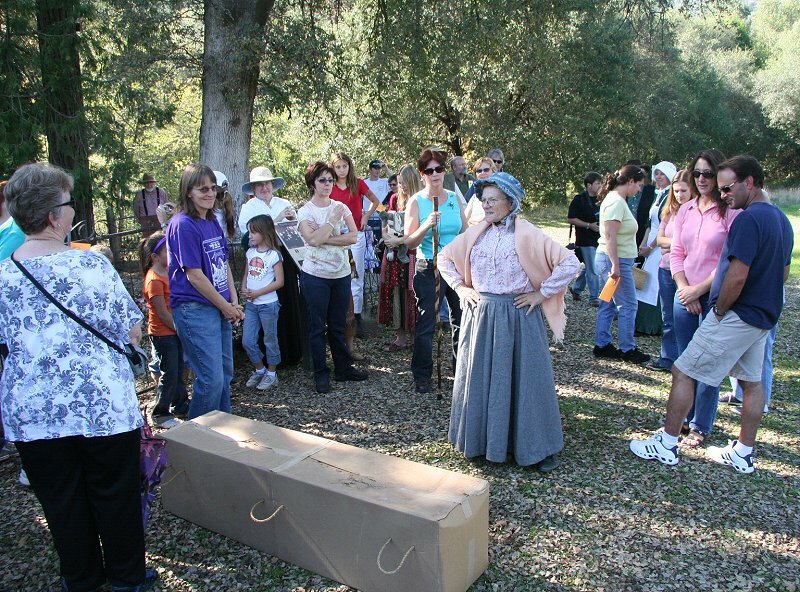 Corky then asks visitors what is to be done with the body of Yankee Jim. They all agree that the nearby out-house would be suitable for the dastardly villain. 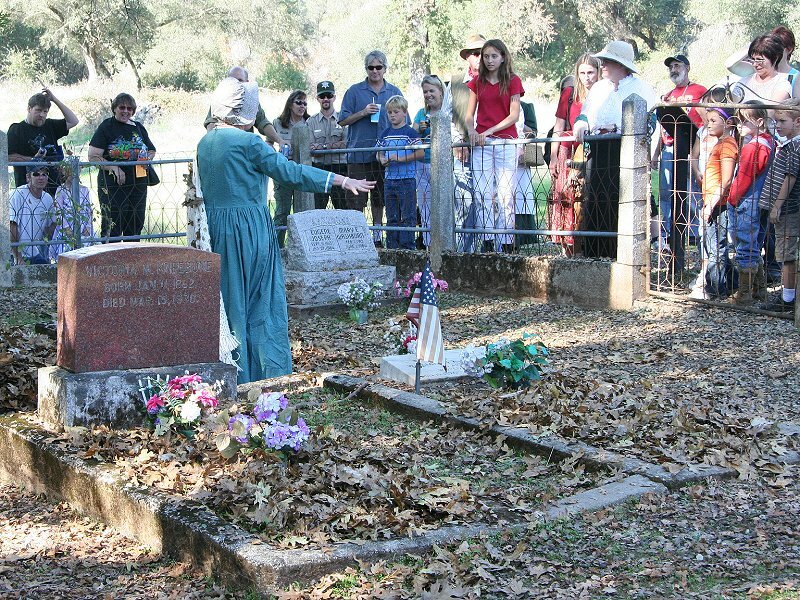 Charles and Mary Ann give a final goodbye to the visitors while standing behind the headstone of Mary Ann's (with Thomas Cole) daughter Victoria. 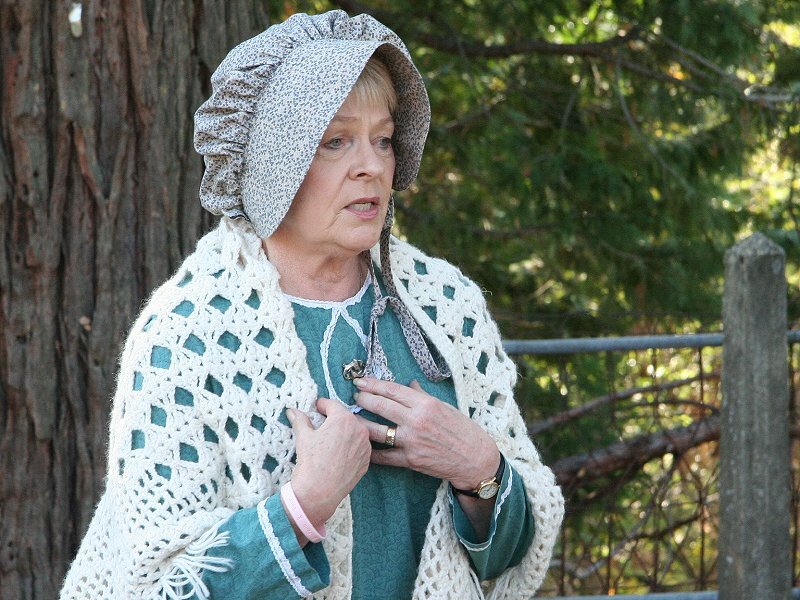 Then Mary Ann returns to her grave. © 2014 The official website for South Yuba River Park Association. All rights reserved.